2006 Bowman Heritage David Ortiz bat card [$2.00 plus $3.00 s/h on Ebay] - I realize this card isn't worth much, but its a card I picked up just because he's been such clutch performer and even while some the damage was at the expense of my hometown team, you have to respect his ability. He can mash the ball all over the field and while he is all brawn, he'll also bunt for a hit when he sees defenders position in the exaggerated pull shift. While he's only a DH these days, he should have at least one MVP award. over the last few years. He's a leader and a calming influence on a team of World Series championship winning, star performers. 2007 Bowman Heritage Chung Young-il black parallel serial #'d to 52 [$19.99 plus $3.25 s/h on Ebay] -I thought I'd pick up a low-numbered first-year parallel card of an 'intriguing' prospect from the Angels. It isn't a sure thing that any pitcher will make much of an impact after signing a professional baseball contract, but I thought it might be worth a gamble since there is also an Asian factor coming into play. When I received the card, I was kind of pissed off at the condition - the right hand side of the card is peeling and the card obviously is imperfect. I didn't expect getting a card in-hand grading no better than a '6.' I think the problem is this cards are condition sensitive and 'pack fresh' means even less for a black bordered parallel card. I guess I'm just going to have to swallow it, since I was so 'gung-ho' in looking to get this card. 1983 Topps Ryne Sandberg PSA graded '9' rookie card [$20.00 plus $4.00 s/h on Ebay] - a Ryne Sandberg rookie card may have been in bigger demand in collecting circles back 1990, but how many key baseball rookie cards do I have from the last 30 years? Getting 'traditional rookie cards' still resonates with me, even though there doesn't seem like the demand is there at all. I still want to build that ideal collection of cards, that would dominate a neighborhood collection [back in 1989, 1990 or 1991]. Though it is graded a '9' by PSA, there is some damage on the top part of the card, along the 'blue' border is. I saw it after I'd already won the card and it goes with the influence of trying to secure cards for your personal collection [impulsively]. 2007 Sweet Spot Classic Roberto Alomar auto [$15.99 BIN plus $4.00 s/h on Ebay] - Alomar's career sort of died a slow death during his last three years [everyone said he was a lock for 3,000 hits] and it seemed shady how he just lost the feel for the game. In his umpire-spitting prime however, Alomar showed he was one of the gifted players in his position, starring for the two-time World Series champion Toronto Blue Jays of [my early 1990s]. He was one of the guys I'd only seen a few times [I think 2003 was the only time in-person ] and my only autograph of his was a 1993 Upper Deck card mailed to him nine or 10 years ago. He didn't seem to be an easy autograph to get by the time I'd actually gotten my one shot at him, but you still sort of think he was a superstar [and someone you'd pay $20 to get a nice, certified autograph of]. If no one else knew how good this guy was or perhaps how tough to get a random scribble from, then it is to my gain. 2003 Topps Retired Signature Luis Aparicio certified autograph card [$9.99 BIN plus $2.50 s/h on Ebay] - it is a hard signed card, but it is enclosed in a case, which is hard to display in a collection stored in nine-pocket pages. It won't kill me either way, but I'd rather leave it in the case than take it out [unless it is necessary]. For my Hall of Famer collection, I would like to get a single-signed baseball and a Hall of Fame yellow postcard for as many living players as I can get, but I need a certified autograph card of Aparicio anyway. 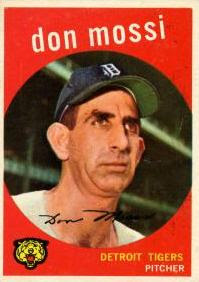 He is not only a Hall of Famer, but also the 1956 American League Rookie of the Year. Realistically, he maybe a more common autograph to get otherwise [I think he signs a lot at the MLB All-Star Fanfests each year], but doesn't quite come out to the West Coast and do many public signings. Upper Deck Masterpieces Hanley Ramirez certified autograph card [$12.51 plus $3.00 s/h on Ebay] - I've been only a Ramirez 'kick' lately and like Aparicio was a Rookie of the Year winner [2006 National League]. I like the fact this is a hard signed card and better looking than his 2006 Bowman Originals releases, since those were signed on those repetitive Futures Game card subsets. I think picking up a few singles I like is my way of buying into a new product, without picking up a full box of cards. 2007 Bowman Heritage prospect/base sets [$19.99/$20.99 BINs plus $9.50 s/h on Ebay] -Bowman Heritage has been talked about ad neausum in other baseball card related blogs, so people know what these look like. I had a 'write-up' for these already saved, but I lost it cutting-and-pasting [thanks Blogger auto-save] my little notes. 1.) For the true rookie cards and first-year prospects - Tim Lincecum, Daisuke Matsuzaka, Hideki Okajima, Joba Chamberlain, Akinori Iwamura, Mark Reynolds, Jeff Samardzija, Joba Chamberlain [he has a base Bowman Heritage card and also a prospect Bowman Heritage card], Matthew Sweeney [Angels], Chung Young-il [Angels] and numerous others [I have yet to learn about]. 2.) For the MLBPA rookie logo cards - the hot Major League Baseball rookies of 2007 who just happen to have rookie cards from previous years already. 3.) To have a complete set for the price of about two blasters or one hobby box - didn't know the shortprints were variations of cards already in the set, so its pretty nice to actually have a 'full' card set without really missing a small subset of shortprints. 4.) I could really care less about the veteran cards - and while interesting, I won't bother marveling over the recycled background [special background, et al] variations within the base set or the little notations Topps has included on some players' images. Various things related to baseball card and memorabilia collecting. A random assortment of packs - maybe five to 15 loose packs [usually up to $4 value each]. Pros - ideally you get to bust open some packs, flipping through cards and hopefully pulling something like an autograph insert. Cons - you probably feel a little let down, if you don't pull anything of significance. 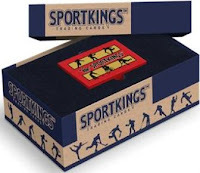 Contents are not guaranteed and pack searching maybe a concern if you are buying random retail packs [or from random hobby venues such as a card shop or card show]. Overall thoughts - busting packs is fun, but if you are looking for 'hits,' then grab key singles instead of gambling on unopened product. Singles - 1 to 10 individual cards [usually up to $40-$50 value each], maybe certified autographs, patch cards, rookie year/rookie card/first-year/xrc auto cards or vintage cards. Pros - it seems prudent, when you are getting cards you want for your collection [personal and for trade]. Cons - condition is key if you are looking to pick up a card, especially online. Picking up a card already graded by a third party maybe of some comfort. Overall thoughts - I see myself more of a singles guy, trying to focus on something more concrete instead of something random. My ideal philosophy is grab the single card over something like unopened boxes and to do so as often as I can make a choice. Singles - 1 to 10 individual low-end cards [usually up to $10-$15 value each], maybe certified autographs, patch cards, rookie year/rookie card/first-year/xrc auto cards or vintage cards. Pros - you can pick up a handful of cards you know you'll have in-hand, instead of a random assortment of packs. Cons - it maybe more for instant gratification, but doesn't it all add up, where you maybe picking up 'give-away' type of cards instead of picking up a single card you would rather have five years from now? Complete sets - one [usually up to $35-$60 value each] factory or hand collated set. Pros - with factory sets, you get all the cards from a particular release. Over the years, Topps ' factory set packaging features full art graphics as well as bonus card [s] inside. For Target consumers, Topps' factory sets feature a Mickey Mantle relic card - like last year, these are probably worn, but not games jerseys/pants. As far as hand collated sets go, you can start putting together the retro products popular with set builders without busting so many boxes off the bat. Often base sets [typically without the shortprints] are available for a bit less than an unopened box [and just slightly a bit more than a blaster box]. Cons - condition may not be the main concern of people who put together sets just to get rid of them [after they've pulled the hit cards]. Sometimes some cards maybe missing from a hand collated set. Overall thoughts - products like Topps Heritage, Upper Deck Goudey, Topps Allen and Ginter, Topps Turkey Red [just the toppers for me], Bowman Heritage [perhaps this year] are attractive sets to build or to pick up and get randomly signed through the mail/in-person. As far as factory sets go, Dave and Adams maybe a place to look for 'bargain factory sets' from past years, where you are getting a full factory set of Topps, with bonus cards, for about the price of a retail blaster box. Unopened boxes - one [usually up to $40 to $70 value each] midlevel box of cards. Pros - with unopened boxes, you often you get the otherwise guaranteed 'hits' one can pull out of most boxes. Cons - your hits may not be that great and like a pack of cards, you seem to be paying for the package instead of the contents. Overall thoughts - you want to break down and bust a product, but there just one new product has to come up, luring you with either their apparent uniqueness. For 'rookie' hunters or the more appropriate 'prospectors,' Bowman Draft and Chrome and Donruss Elite Extra Edition is around the corner. Others gems maybe products sitting around and may have come down in price and may just be good for 'bust value,' but not necessarily yielding any valuable cards. Autographs - one [usually $5-$150 value each] typically certified [with some exceptions] autographs [card, non-card autographs or autographs to be signed at shows]. Pros - you get the autograph in-hand without much of an effort besides plucking down your hard earned cash. You would get a better signature from subjects who may have a rushed version of their autograph and one used for sit-down signings. Cons - it costs $$$ to get the better subjects, particularly professional athletes. Not everyone is worth $$$ to pay for. Overall thoughts - how hard to get is the subject? Walking down the street, will the person essentially sign the same thing for you for free? Are the prices to pick up a non-card autograph reasonable, somewhat high but perhaps worth it or regardless of worth [truly astronomical]? Do you only know to get autographs through purchasing them or do you have expertise in fishing for them in-person or through the mail? Actually this card was just lying around - but the Los Angeles Angels of Anaheim signed the real thing to play centerfield for the next five years. I nearly choked as I heard on a sports update he was going to the Los Angeles Angels and not the Los Angeles Dodgers - it is a solid move and seems like he has always been a stand-up, face of a franchise guy otherwise, but it came out of nowhere. 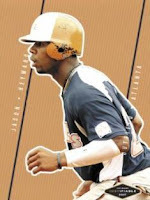 Compared to the signing of Gary Matthews Jr. last off-season, Hunter is actually a first-class centerfielder, not a fourth-outfielder type getting first-class money - Hunter is a perennial Gold Glove winner and while his on-base percentage is not particularly special, he is capable of doing a little bit of everything when he isn't out on the field. He can run a little, but more importantly, he is capable of hitting in the middle of the lineup, having hit 20 or more home runs in six of his last seven Major League seasons. He has also driven in 90 or more RBIs, in five of those last seven Major League seasons. While Hunter maybe 32 years old, I would tend to believe good athletes like Hunter age better than others - I think he'll make up for the energy lost by trading Orlando Cabrera and it will be fun to watch him. Now if the Angels can only secure a pure slugger, someone like Miguel Cabrera or a solid all-around shortstop like Miguel Tejada - then the offseason will truly be complete, with the addition of a starting pitcher [have], a Gold Glove outfielder [have], a slugger [need] and a shortstop [need].